Network threats can come from anywhere, at any time, and can take you down before you even know they’re there. Uniquely architected to be the industry’s smartest, fastest and most effective network security products, powered by WatchGuard, Cerberus puts IT security pros back in charge of their networks with widely deployable, enterprise-grade security and threat visibility tools suitable for any organization, regardless of budget, size, or complexity. Ensure that your network is future-proof. By deploying network security as a service, you can relax, knowing that your security is always top of mind. 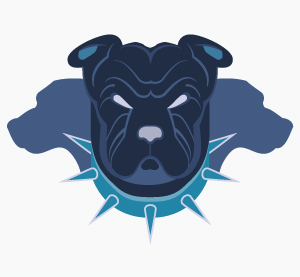 Cerberus will guard against all of the latest trending threats to keep you up and running. As well as, safeguard your data against regulations such as GDPR. For something as tricky and comprehensive as the General Data Protection Regulation (GDPR), you need to ensure your network security is top notch. 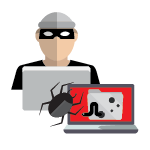 After exploiting technical or human vulnerabilities in your environment, an attacker will deliver malware to compromise your users’ computers for the purpose of stealing or denying access to information and systems. 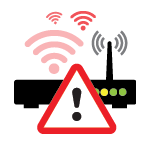 Wireless network attacks are numerous and often devastating. Something as simple as an employee connecting their own wireless access point could allow an attacker to access your protected network without physically stepping foot inside your business. 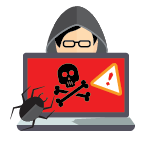 Organizations are struggling to identify threats in a timely and actionable way in large part because they lack the necessary visibility into their environment needed to detect malicious actions. These network blind spots are easily exploited by skilled attackers, with serious consequences. 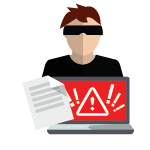 Whether downloaded from a malicious or compromised website, delivered as an attachment from a phishing email or dropped by exploit kits onto vulnerable systems, ransomware represents one of the most significant threats SMBs face today.